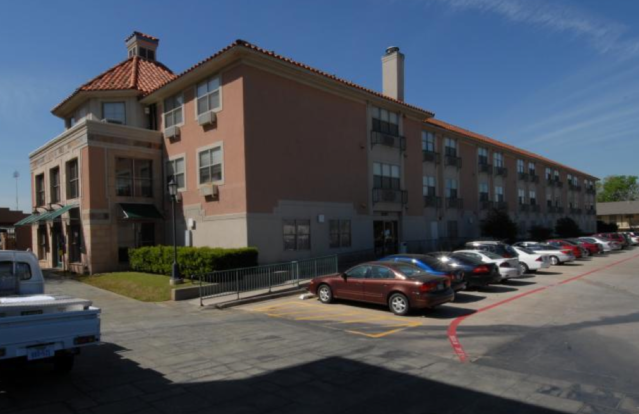 Designed with a Southwestern influence, Santa Fe Square is a UPPER CLASSMEN residence hall and located on W. Prairie Ave. & North Texas Blvd. on the West side of campus. 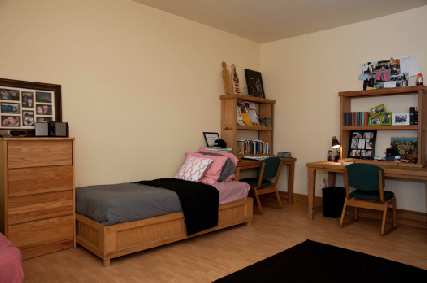 Located adjacent to Traditions Hall. 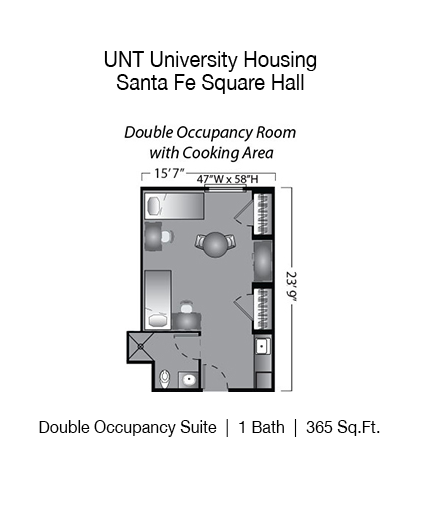 Santa Fe Square provides large double rooms with an in-room cooking area and is one of the buildings available only to upperclassmen.